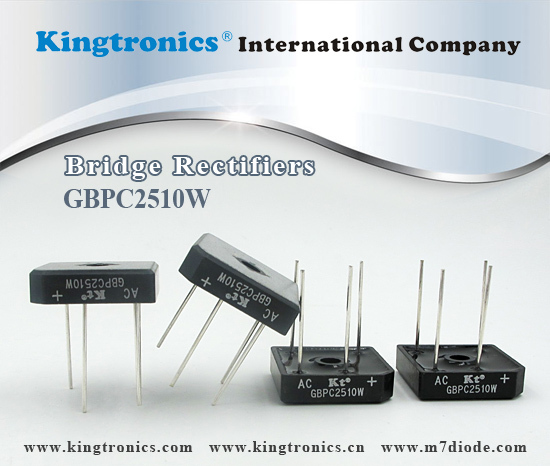 We would like to introduce our product Bridge Rectifiers GBPC2510W to you. Here are some reasons why you can’t miss it. 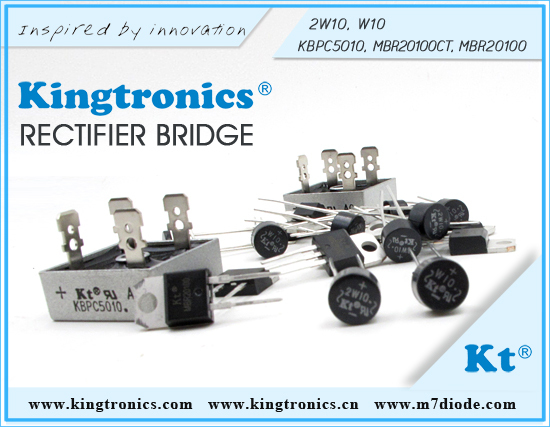 Kt Bridge Rectifiers GBPC2510W has high quality, maximum reliability and maximum performance. What’s more, it has a competitive price. We give a good offer and provide a good service for you. 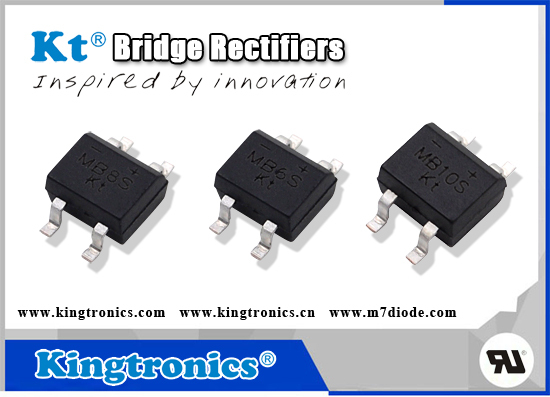 Are you interested in bridge rectifier MBS series? Will you use or buy them? Do you familiar with its characteristics and applications? Today I will have a detailed explaination for you. MBS series include MB1S, MB2S, MB4S, MB6S, MB8S, MB10S. It's single phase 0.8 AMPS and glass passivated. Voltage ranges from 200V to 1000V with current 0.8 Amperes. It's ideal for printed circuit board with high temperature soldering guaranteed. Power supply, lighting, ballaster, battery charger, home appliance, office equipment, telecommunication applications. Above all are necessary in our daily life, so the bridge rectifer MBS series are consumed in large quantity. Are you engaged in these fields? Do you buy/use this kind of bridge rectifier? 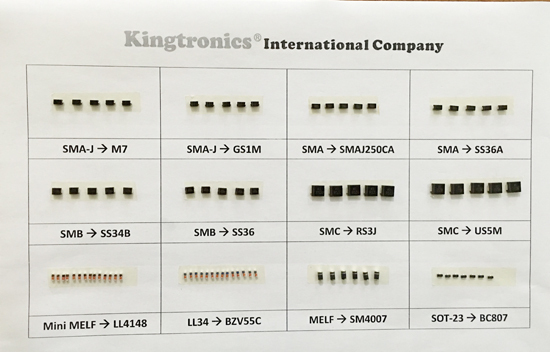 We Kingtronics can offer you very good price with fast delivery. And our bridge rectifier is UL certified. Below is our offer for your info. Could you pls check and send me some inquiry?